The country's main Coptic Christian church, St Mark's Cathedral in Cairo, was targeted Sunday morning. 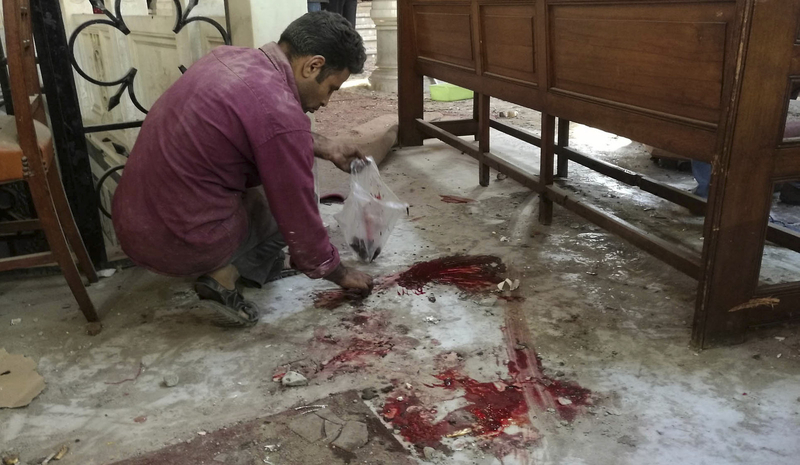 At least 24 people were killed in a bombing at Egypt's main Coptic Christian cathedral Sunday morning, the most deadly attack on the religious minority in recent years. On Monday, Egypt's president said the church attack was carried out by a suicide bomber. President Abdel-Fattah el-Sissi identified the bomber as 22-year-old Mahmoud Shafiq Mohammed Mustafa. He said three men and a woman have been arrested in connection with the attack, the Associated Press reported. "I found bodies, many of them women, lying on the pews. It was a horrible scene," cathedral worker Attiya Mahrous told the BBC. Witness Mariam Shenouda told the Associated Press: "I saw a headless woman being carried away. Everyone was in a state of shock. We were scooping up people's flesh off the floor." "There were children. What have they done to deserve this? I wish I had died with them instead of seeing these scenes," she said. The bombing came two days after a explosion elsewhere in Cairo killed six policemen. 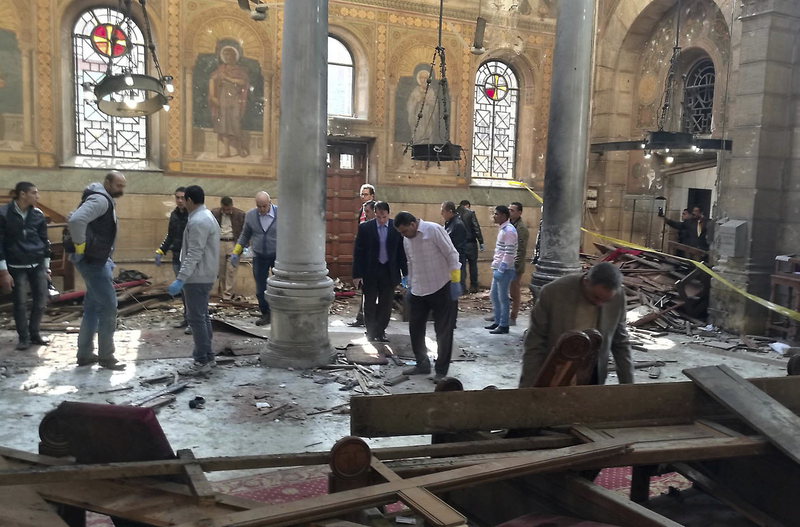 Islamic militants have targeted Coptic Christians in the past, including a bombing at a church in Alexandria on New Year's Day 2011 that killed at least 21 people. No group has yet claimed responsibility for Sunday's attack. President Abdel Fattah al-Sisi declared three days of mourning and vowed to punish those behind the blast. "Vicious terrorism is being waged against the country's Copts and Muslims. Egypt will emerge stronger and more united from this situation," the president said. The White House also condemned the attack and sent condolences to the victims' loved ones. "This heinous attack targeting Christian worshipers as they gathered to practice their faith demonstrates once again the need for the international community to remain resolute in confronting acts of terrorism across the globe," National Security Council spokesman Ned Price said in a statement. Amnesty International said the Egyptian government has not done enough to prevent attacks on Copts.